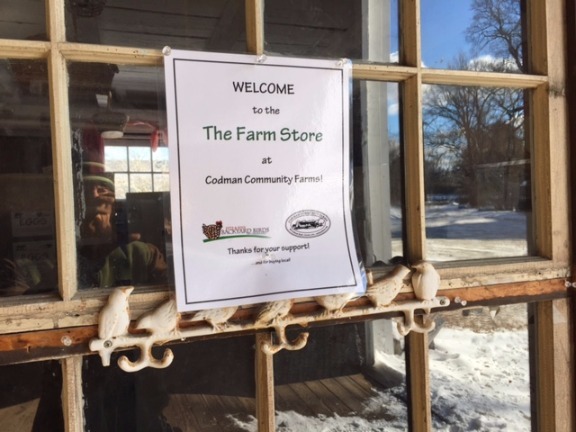 Welcome to Codman Community Farms- our new home! We moved in about two weeks ago and are very much still settling in. Lots of boxes to unpack plus many odds and ends are still at the old farm needing to be brought over. Our hope and plan is to share all that is happening with us as we settle in and plant new roots in this wonderful farm at the heart of Lincoln. 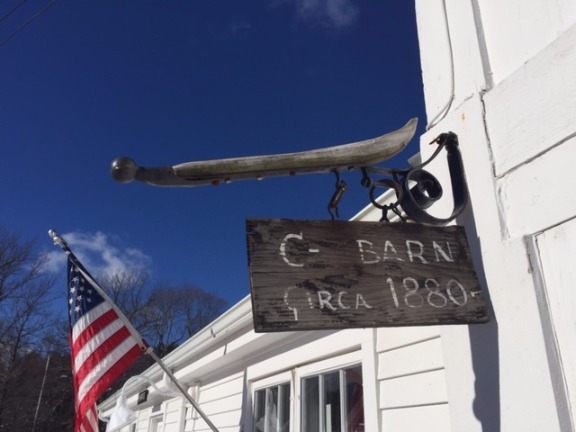 We will start with just a brief intro about the new Farm Store located in the historic 1880's barn which you will see once you pull into the farm. 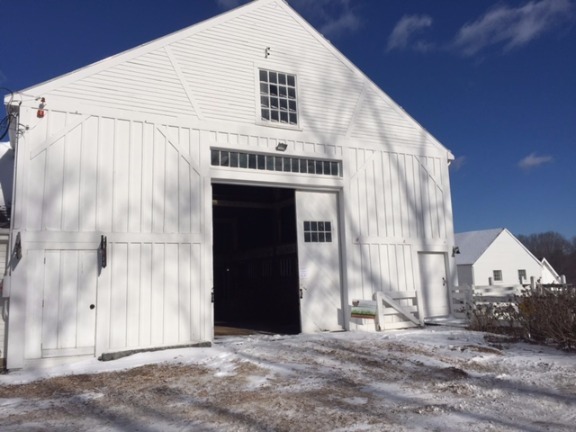 Below you can see the small farm office on the left which attaches to the main barn that contains the Farm Store. 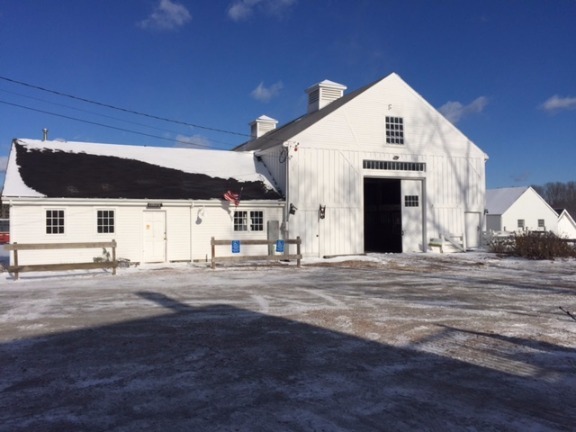 Just inside the beautiful big barn doors, on the right, is a quaint little store with many freezers and fridges full of our tasty farm raised products. You can pull right up and park in front of the store. It's the easiest access to the store ever! 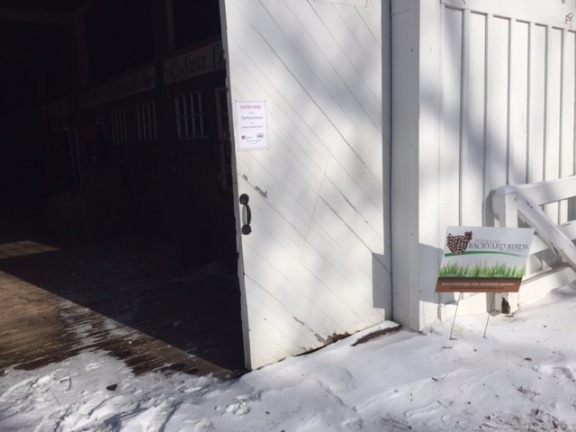 No more climbing down steep little icy stairs or down a steep driveway to get to our tasty products. 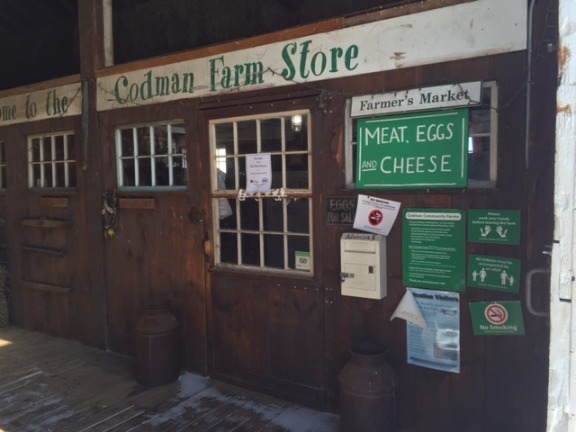 The store is open all the time so come on down whenever you have the chance. We will be installing motion sensor lights soon so it won't be quite so dark in the evenings. The store is packed! 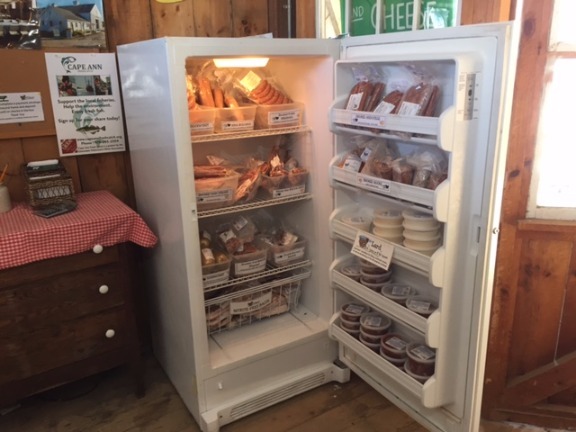 Tons of great smoked items (bacon, double smoked slab bacon, kielbasa hot dogs, even bologna! Many new freezers with one dedicated just to smoked products!